Celebrate Cather's beloved novel all year long with a pair of My Ántonia socks! 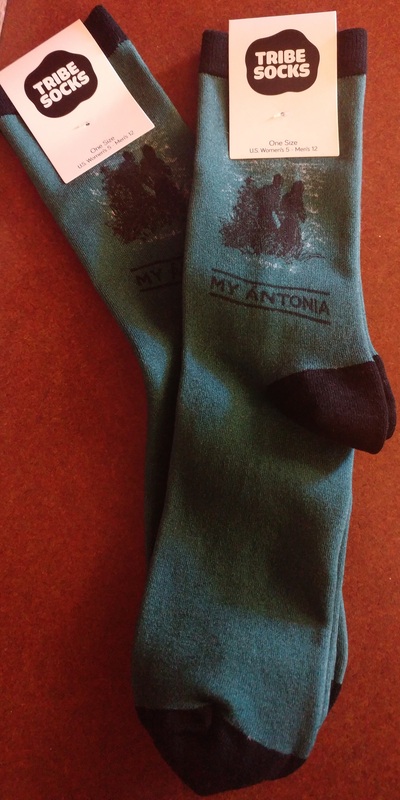 Pair the socks with a My Ántonia anniversary shirt and hat and you will be the envy of every Cather enthusiast. Socks are designed exclusively for the Willa Cather Foundation and can only be purchased online or in our bookstore.